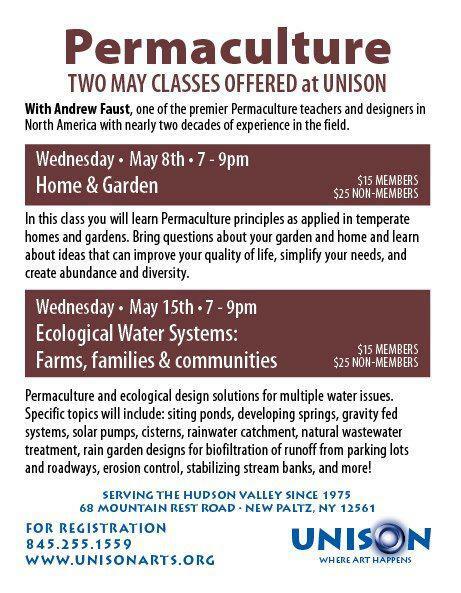 Andrew Faust to speak on permaculture and sustaiable water systems at Unison in New Platz this Wed at 7. Folks-please consider attending. Andrew Faust is a brilliant thinker and orator and not to be missed! Homeowners, municipal and elected officials, non-profits, community organizers, and everyone else should come! Guaranteed to learn much, build community, and be inspired!